Yesterday I told you about my roommate who fancied himself some kind of stock picker extraordinaire. And I told you how he spent countless hours “researching” his stock picks and lost a lot of money in the process. Frankly, he would have been better off had he never invested a cent. But that’s not going to happen to you. You’re going to invest in the stock market in a systematic way that takes very little time and will make you money in the long run. Of course, I’m assuming here that you want to be a passive investor in the stock market. There are people called day traders who study the market and who can do very well, but day trading requires additional education and is more of a business than than a passive investment strategy, and I assume that this isn’t the route you want to go when it comes to putting money into the stock market. In the long run, and assuming that you simply want to engage with the stock market as a passive investor rather than an active trader, it is very likely that consistently investing in low-cost ETFs (more on what these are below) will yield a superior return to picking individual stocks or employing some other stock market investing strategy. Therefore, you should simply invest in low-cost ETFs. This will save you time and will likely earn you more money in the long run than would picking individual stocks. Now that we got the basics out of the way, let’s go into a little more detail and flesh out my statement above. What is “beating the market”? 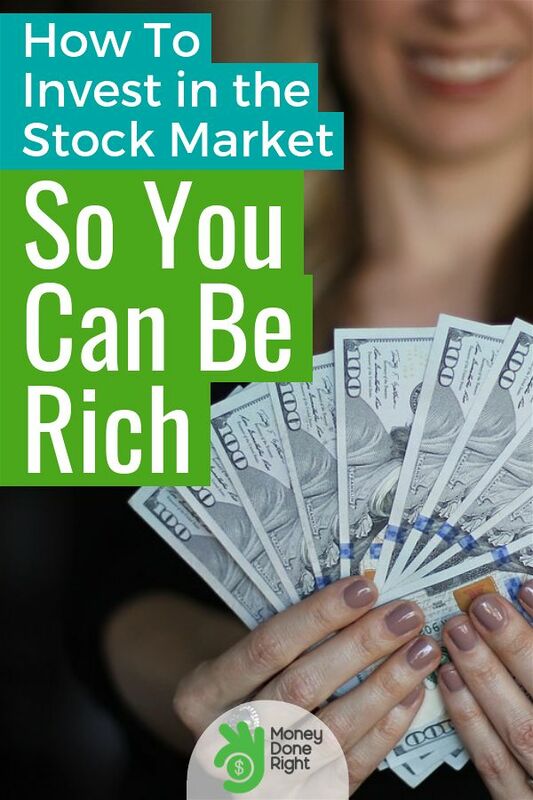 It means getting a better return on your investments than the theoretical return you would have obtained had you simply invested in the stock market as a whole. So let’s say you invest $10,000 today in your stock picks, and 5 years from now, these stocks are worth $15,000 (assuming you reinvested all dividends). So your investment increased by 50%. If the stock market as a whole increased by less than 50% during that time span, then you’ve beaten the market. If the stock market as a whole increased by greater than 50% during that time span, then you didn’t beat the market, and you would have been better off simply investing in the stock market as a whole than trying to pick individual stocks on your own, which ate up your time and made you less money.
? Can You Beat the Market? The hard truth is that it is very, very, very unlikely that you will beat the market, consistently, year-over-year. Don’t believe me? Read below. The majority of stocks do not even beat Treasury bills, which yield much lower returns than the stock market as a whole, and the vast majority of professional stock pickers do not beat the market in any given year, much less routinely. I’m not just talking about your college buddy who dumped his life savings into Snapchat stock. I’m talking about professional, well-paid money managers. “CNBC TV personality and ‘Mad Money’ host Jim Cramer has built a lucrative career as a stock picker, but a new analysis of his charitable fund—a personal stock portfolio he co-manages that the financial website he founded has built a subscription service upon—shows he doesn’t beat the market.” Marketwatch. Jim Cramer Doesn’t Beat the Market. May 16, 2016. “If you want to be a stock picker, you had better be a truly exceptional one because the alternative is not pleasant. While stock markets in aggregate hugely outperform bonds, especially one-month Treasury bills, the story when it comes to individual stocks is a lot more daunting. Only 42 percent of stocks, over their entire lifetimes, provide a higher return than one-month Treasuries, and more than half provide negative lifetime returns, according to a new study which looked at U.S. stocks from 1926 to 2015.” Reuters. Individual Stocks Don’t Even Beat Treasury Bills: James Saft. February 1, 2017. “Fewer than 1 in 5 [professional stockpickers] beat the S&P 500 in 2016, driving half a trillion dollars of investors cash into indexes, primarily through passively managed exchange-traded funds.” CNBC. Stock Pickers Beware: Charlie Munger Thinks You’re in Big Trouble. February 15, 2017. These are people with advanced degrees in finance and investment analysis who are paid full-time to pick stocks, and even they can’t beat the market. So what makes you think you can, year-over-year? Let’s give you the benefit of the doubt and assume you pick your stocks and beat the market this year. Congrats! Now you have to do it again next year and the year after that and the year after that in order for all of your “stock picking skills” to be worth it. Given the fact that fewer than 1 in 5 professional stockpickers were able to do that in just one year, I’d say that their — and your — chances of repeating this feat for the next 30 or 40 years (or whenever you want to access your stock portfolio) are virtually zero.
? If You Can’t Beat It, Join It. So since you can’t reasonably expect to beat the market over the long-term, what’s the solution here? Join it. “Set it and forget it,” so to speak. Thankfully, the rise of ETFs has made it very easy to do just this. An ETF is an exchanged-traded fund. “Exchange-traded” means that it can be bought and sold on a major stock exchange, just like an individual stock. “Fund” means that it comprises a variety of investments. An example is usually the easiest way of explaining what I mean. Let’s take the Vanguard Total Stock Market ETF (symbol: VTI). This ETF essentially seeks to track the performance of the overall stock market. So when you buy this ETF, your return will essentially match the return on the overall stock market. ?‍? So How Do I Invest in ETFs? There are plenty of ways you can invest in ETFs, but our favorite at the moment is M1 Finance, and if you sign up using our M1 Finance $10 Bonus Link, you will receive a $10 bonus when you make your first investment of $100 or more! We love M1 Finance because it does not charge any fees and allows you to invest in Vanguard, Schwab, Fidelity, etc., index funds without paying a commission. Click here to sign up for M1 Finance and grab your $10 sign-up bonus!
? 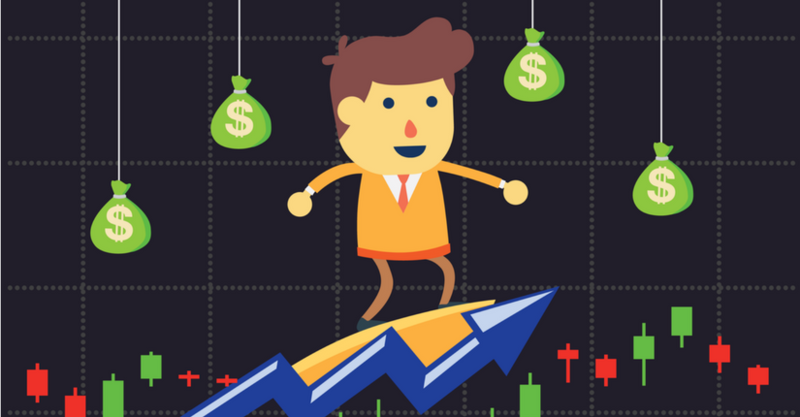 What ETFs Should I Invest In? There are plenty of ETF investing strategies out there based on your age, risk tolerance, and overall asset allocation targets. Discussing your individual investment selections is beyond the scope of a personal finance blog. 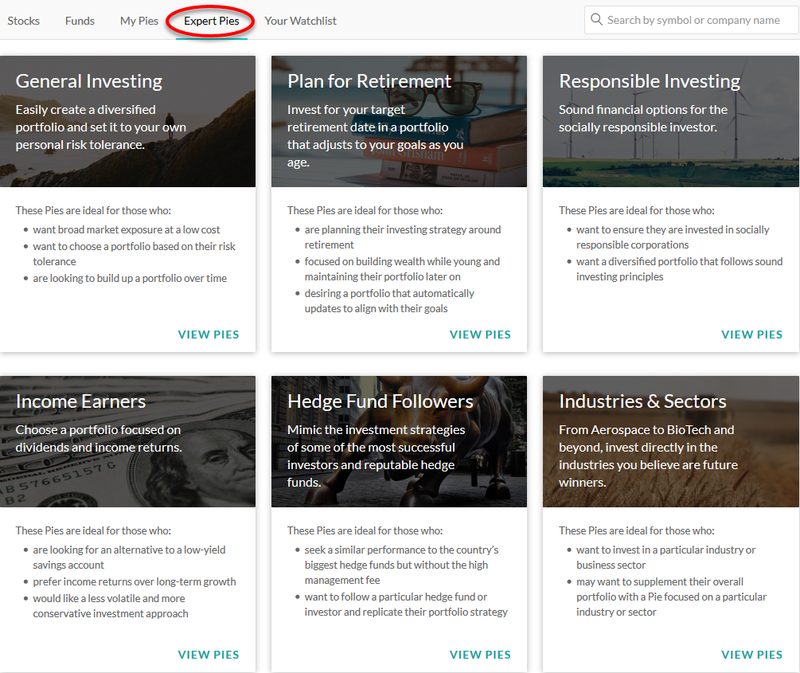 However, M1 Finance has a pretty nifty tool called “Expert Pies” that can create a custom ETF portfolio for you based on your investment goals.
? Epilogue: Make More Money in the Time You Would’ve Spent “Researching” Stocks. In this game, we are going to pretend that you actually beat the stock market this year. Let’s say you have $100,000 to invest, and you beat the market by 2%. Congrats; you’ve made an extra $2,000 this year than you would have made had you just “joined” the market through M1 Finance or some other system you develop. But how much time did you invest “researching” your stocks? Could that time have been spent making you even more money than $2,000? Probably! Most of us can do something that will earn us far, far greater guaranteed returns on our time than “researching” stocks. If you’re curious about ways that you can make money from home, check out our article How to Make Money at Home and Online: 27 Legit Ideas for 2018.